In no other realm of the universe would it be acceptable to fill a shopping cart up with items you need or want and then just abandon it for someone else to clean up. But eCommerce sites have to deal with this on a daily basis, hourly basis even. 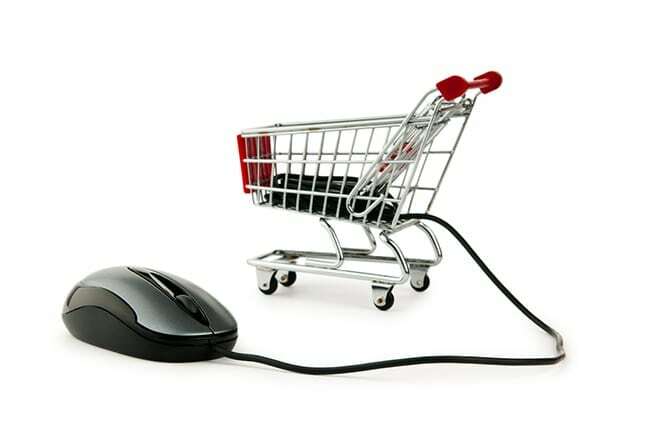 Statistics show that a massive 74.3% or three-quarters of the world’s shopping carts are abandoned. Throughout this text, we are going to take a deep dive into why people leave their cart, and what it means for you as a virtual business. By the end of the text, we hope that you have acquired some answers to the questions – What are some of the shopping cart abandonment reasons given by savvy online shoppers. How can shopping cart abandonment insights help refocus your check out process and target customers? Abandonment Insights – Why Do People Shop Online? Although it may be hard to believe, there are people out there who like to shop for reasons other than functionality. Stress relief, relaxation, and inspiration are some of the most popular reasons given by online shoppers; as to why they would want to sit in front of a device and look at products they may not even buy. You have undoubtedly heard of those weird people that like to spend Sunday afternoons ‘Window Shopping’ with friends. Personally, it seems like a torturous activity that gets you excited about projects and products that you are just going to see come to fruition. Of course, the Internet has its form of ‘Window Shopping’ and the newly released figures for shopping cart abandonment rate prove that it is a favorite exercise. However, it’s not quite as simple as that. There are many other reasons why we see such a high rate of shopping cart abandonment in the eCommerce world. These reasons and insights range from adding items to your shopping cart as a way to see the final total of your purchases including any hidden costs there might be. Adding items to your shopping cart so you can wait for them to go on sale or check against competitor prices. Some people have also admitted using these shopping carts as a way to make a list of items they want to see or buy from a store. What is even more disturbing to eCommerce business owners is that with the rise of mobile traffic on eCommerce sites the shopping cart abandonment rates have increased to a worrying 97%; meaning that out of 100 carts filled only three will result in a sale for the business. What are some reasons why mobile shopping carts are abandoned so frequently? There are several reasons based on customer experience as to why there are such high rates of abandonment. Starting with a long checkout process; people who shop online using their mobile device want a fast, frustration free and streamlined checkout process. This is something that cannot be achieved when eCommerce stores are asking for extra information throughout every step of the process. Another element that mobile customers find annoying is when the same marketing elements are used on mobile sites and desktop sites. Pop-ups, extra information, and discount stickers are usually welcome on a desktop site but are unbelievably annoying when you are on a mobile device. Limited payment methods are another reason why mobile shopping carts are causing endless frustration for eCommerce sites. Payment gateways are usually only outlined once you have completed all other steps in the checkout process, this can be unbelievably frustrating for mobile shoppers. Along with Visa and MasterCard payment methods, most mobile users want the availability of using e-wallets like PayPal and Google Wallet. This is before we even take into account the new ‘lay-by’ options available to virtual shoppers. With the introduction of AfterPay and ZipPay not having a variety of payment options available to online shoppers is a death sentence for eCommerce businesses. Okay, so you understand all the places where you are facing problems. What can you do to fix it? When it comes to a long checkout process, there are some simple steps that you can take to minimize this process. Design your shopping cart and checkout process for a mobile device; cutting out any unnecessary fields, pictures, or elements that affect page speed. Do not use a template design for your checkout page, create the mobile checkout process yourself that way you can add and group as many elements as possible to make the process as streamlined as possible. When it comes to pop-ups and registration or any other form of interruptive marketing, using these features for mobile shopping is not useful for you as a business and plain annoying for your customer – just don’t do it. As for the registration process, when it comes to mobile clients, make this element more of an invitation than a compulsory part of the checkout. Then comes the question of payment methods. Simply put, make your payment options very clear before the customer goes through any form of shopping on your site. According to statistics eCommerce businesses that make more payment methods available to their clients are seeing a 15% increase in sales. So there are quite a few issues that you are facing as an eCommerce business when it comes to converting your marketing methods into sales. But with a bit of time dedication, you can see a real increase in your profitability. Wordapp is not in the business of improving your checkout section of your website. However, we are in the business of content creation. Content creation that is Search Engine Optimized and created uniquely for your site and business. Content that is researched and written in a simple, fast and affordable manner. Content that is seamlessly uploaded to your site. Content that is freeing up hundreds if not thousands of staff hours that your company can now dedicate to improving areas and elements that will affect your shopping cart abandonment rate. Websites, web pages, innovation, and technology is our passion; we stay up to date on the latest and most influential factors impacting your eCommerce site. We know that this is a real problem facing eCommerce businesses with an increasing number of visitors to their mobile sites and we are here to help. If this is something that has been talked about in many of your staff meetings lately, then get in touch with Wordapp and talk to one of our Content Specialists today about how we can help you. Book a free tour or sample content today and revolutionize the way your business works.